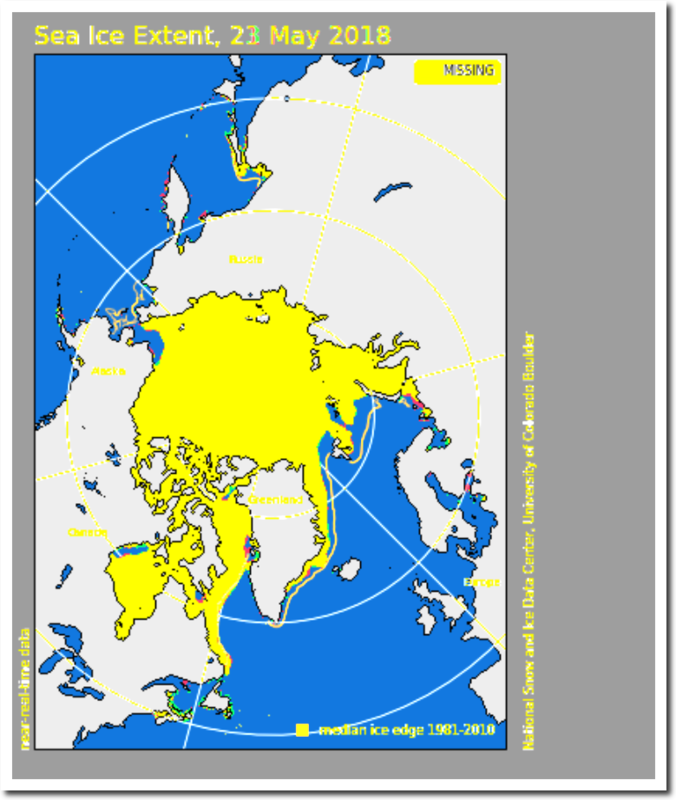 DMI and NSIDC continue to show Arctic sea ice extent declining. 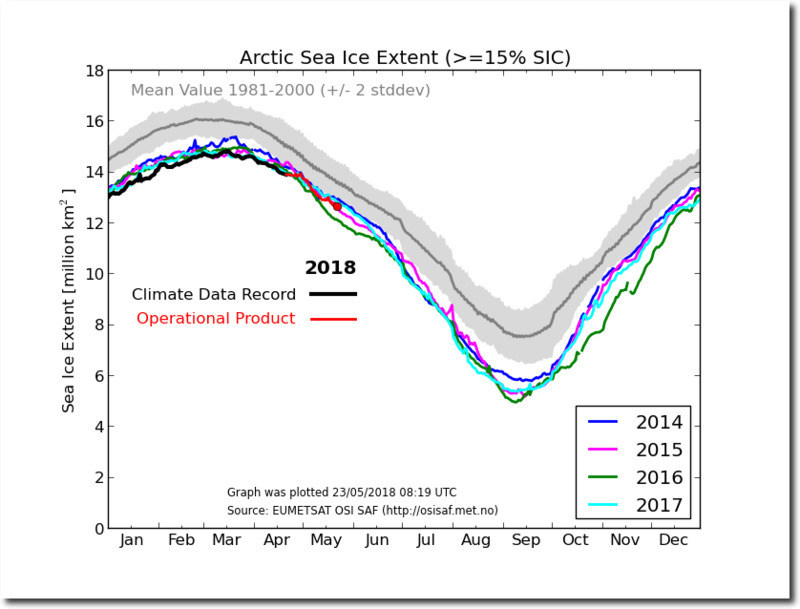 NSIDC maps show almost no change over the past two days. red shows ice loss since May 21, green shows ice gain.